I came across a quote on Instagram by Alexander McQueen stating, "It's a new era in fashion- there are no rules. "; which is absolutely true. A perfect illustration of this statement would be the rise of Print Mixing. This trend has been around for quite some time, and is PERFECT for the summer! However, it's a bit of a challenge to pull off. If you've ever been wondering how to rock this trend, follow these simple steps; to avoid looking like a complete nutcase. 1. Balance the prints. 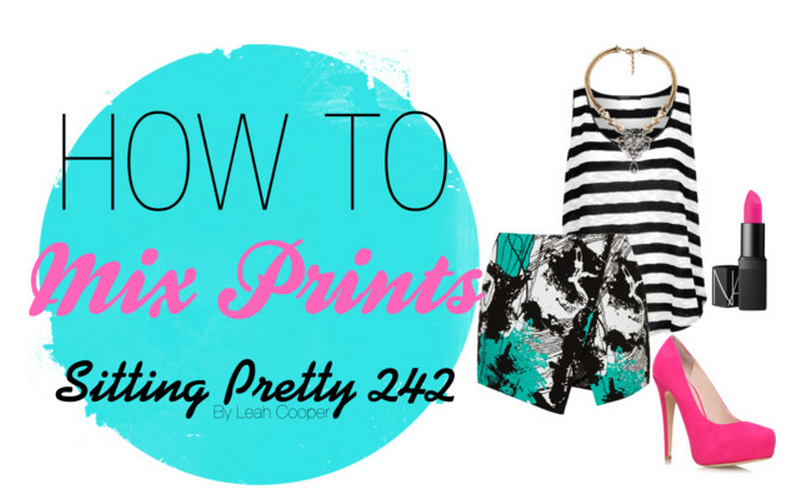 To avoid looking questionable, make sure that you use one busy print and one simple print. Stripes or Polka Dot can go with pretty much anything once the colors complement each other. 2. Choose matching or complementary colors. (Common Sense!) If not, you run the risk of looking like you got gang-banged by CRA-YOLA! (In my best Migos voice) Make sure that both prints either share a common color or something that complements the other. 3. Tie the look together with a solid color. Choose a few solid colored pieces (e.g. : camisole, belt, shoe, etc.) to tone down the prints and tie the ensemble together. Would you ever rock this trend?